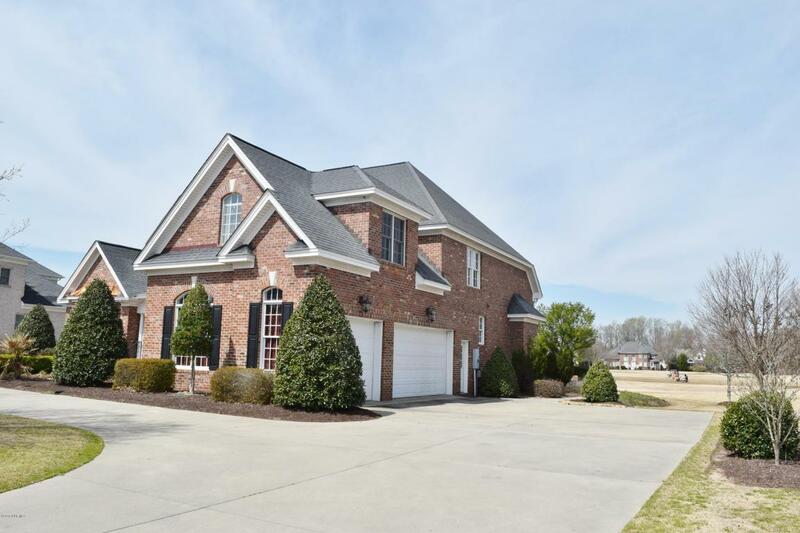 Fabulous 5 bedroom/4.5 bath home with 3 car attached garage that overlooks hole #5! Circular driveway and open floor plan provide perfect elements for family gatherings and entertaining. The master suite boasts tray ceilings, his & her sinks, walk-in shower, whirlpool, and his & her closets. Gourmet kitchen boasts granite counter tops, center island, under cabinet lighting, stainless steel appliances, gas cook top, desk area, and breakfast nook. Other additional features on the first floor include: spacious office with built-ins, large great room with soaring ceilings, a living room, and dining room. Enjoy the amazing view of the golf course from the elevated patio. Fifth bedroom could also be used as a bonus room. Spacious laundry room. Dual stairway. A must see in the popular Ironwood!